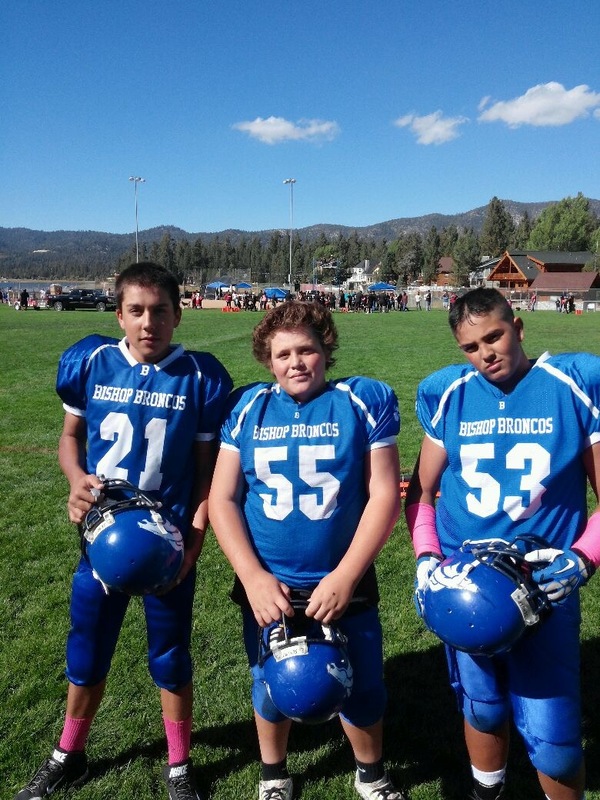 The Bishop Youth Football teams traveled to Big Bear this past Saturday winning all three games. Next up the Broncos will host Boron this Saturday at Bishop Union High Schools John Schwab Field. Games will begin at 9am for Division one, 11am for Division two and 1pm for Division three. Vinney Begay 1 carry for a 40 yard touchdown, 1 reception for 10 yards, and 3 assist tackles. Michael Spratt 1 assisted tackle. Elijah Reynolds 3 solo tackles, 2 assisted tackles, 1 carry for a 78 yard touchdown run, 1 60 yard kick off return, 1 kick off recovery. Preston Pool-Harjo 1 solo, and 3 assisted tackles. Darrick Cortez 1 fumble recovery. Jesse Dewey 1 carry for 6 yards. Travis Askins 2 assisted tackles. Carlos Suarez Jr 1 carry for a 22 yard touchdown, 6 solo tackles, and 2 assisted tackles. Cherish Dixon 1 solo tackle, 1 assisted tackle and 2 carries for 15 yards. Ishia Lee 1 assisted tackle. Chucky Delgado 1 solo tackle. Justin Pettet 1 assisted tackle. Charlie Lewis 1 solo tackle and 3 assisted tackles. Damon Terrazas 1 carry for a 22 yard touchdown run, 1 50 yard kick off return for a touchdown, 1 assisted tackle, and 2 solo tackles. Devaun Mitchel 2 assisted tackles and 1 solo tackle. David Smith 1 assisted tackle. Richie Talavera 1 carry for 25 yard touchdown, 6 assisted tackles and 3 solo tackles. Brody Berkovatz 2 assisted tackles 1 carry for 6 yards. Chance Dixon 2 solo tackles. Levi Williams 4 assisted tackles, and 1 solo tackle. 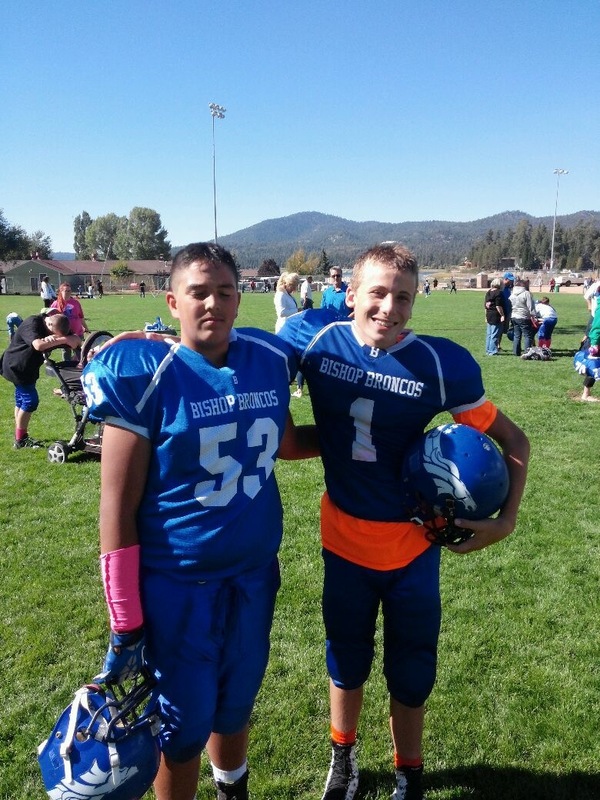 Division 2 football came up with a big win in Big Bear, Ca on Saturday with a final score of 31 to 6. The scoring actions started with a Chevyo Marquez TD run. The next drive was fruitful with a 60-yard TD pass by Jakob Redmond to Colt Matteson for a TD. Cain Omohundro punched in the PAT. Chevyo, Kenan Piper, Jacob Redman and Colt Matteson were busy with sharing the rushing duties. Cevyo would score another TD in the 2nd quarter. Matteson would score 2 more rushing TDs, the last one after a great 30-yard reception by Andrew Steedle to put the Broncos in scoring position, bringing the score to 31 to 6. Overall the offense moved the ball at will with excellent blocking from the front line. Defensive tackles were led by Kennedy Batchelder, Cain Omohundro, Andrew Steedle, Deacon Trim, Austin Van Nest and Elias Turner. Overall the team racked up 239 total yards of offense. 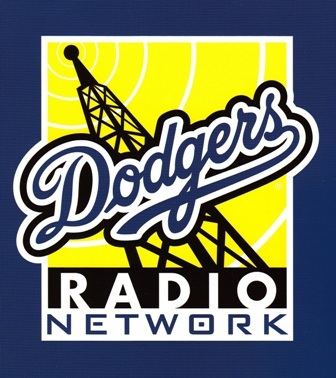 Everyone got to contribute to the win and gain valuable experience. Bishop plays Boron this week at home. Jakob Redman 8 for 53 yards. Kenyan Piper, 4 for 20 yards. Chevyo Marquez, 8 for 49 yards and 2 TD. Cain Omohundro, 3 yards, PAT. Colt Matteson, 60 yards and 3 TD. Kennedy Batchelder, 12 tackles and forced fumble. Austin Van nest 6 tackles. MVP of the game is Jaydan Braithwaite. -13 carries for 87 yards and 1 TD. -3 receptions for 31 yards and 1TD. – pancake block on a Kick off. The offensive line deserves special recognition after starting slow with several high snaps. The O-line ended up controlling the line of scrimmage and sustaining key “touchdown blocks”. The O-line is beginning to take charge of this season. Wes Pettet #7 had another amazing performance leading the team once again in tackles with 8. Pettet also had 4 carries for 61 yards and 1 TD (a 50-yard run). Tristan “TV” Valle #53 had 2 key blocks allowing Braithwaite & Pettet to score. Valle also had 6 key tackles. Joey Molina #55 also had 2 key touchdown blocks getting to the next level allowing Pettet & Braithwaite to scor. Molina also had 1 tackle. Justin “Cowboy” Brooks #21 had 2 touchdown blocks on Braithwaite’s TD run & pass block. Brooks also had 5 tackles. Jason Vanmeter #70 had 2 tackles & helped drastically along with lineman Todd Dowers. Luke Mcclean #1 had an exceptional game on all 3 phases. Luke made 6 tackles and had 3 carries for 25 yards, along with 1 reception for 15 yards. Manny Talavera #4 had a good game making an interception and a tackle. Talavera also had 4 carries for 10 yards and 1 reception for 30 yards. Quarterback Clay Omohondro threw his 3rd touchdown pass in 3 games. Darren Dondero, Jonathan Torres, and Jordan Cooper each made a couple of tackles and participated in this win.